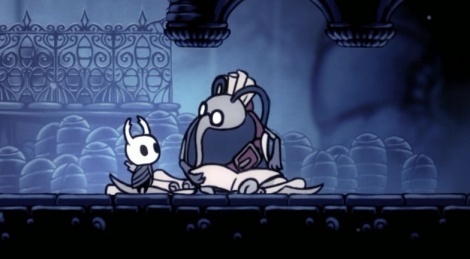 The Metroidvania genre is usually quite popular among indie developers and Hollow Knight seems to be a game to keep an eye on. We particularly like its art style, but what makes it engaging is both its level design and gameplay mechanics. Much like in the Dark Souls series, dying means you have to lose something valuable that you can only retrieve if you manage to go back to the exact spot where you were killed (and you beat your own ghost). It's not souls you lose here, but what serves as money to buy new charms or various items. There are also souls in the game though, as you collect them every time you hit an enemy, which fills a sort of gauge that can be used to either replenish your health, or launch a special attack. It's an interesting mechanic as you're rewarded for playing well and being offensive. The only downside at the moment is that we've been experiencing occasional freezes, which can be annoying during a boss fight (there are 30 of them, and more than 140 different enemies!). This game looks great and by many of the discussions on Steam, it has a lot of depth to it.